When it comes to Skin Care, there should be no argument that, especially in this economic climate, the best "spend" can only be on quality and performance. 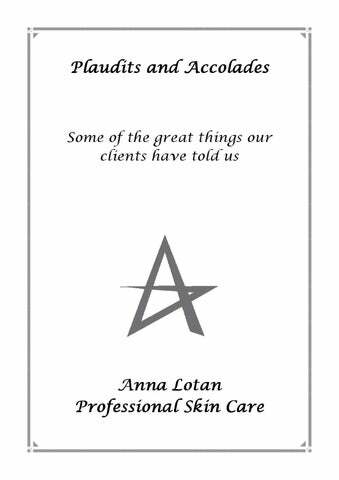 We make no excuse for saying that Anna Lotan produces exceptional, high quality Skin Care products. Every day, we are pleased to hear from Skin Care professionals and their clients who want to tell us how much they enjoy and believe in our products. I was given a sample of your Liquid Gold Golden Sunblock SPF 30 after a procedure at a dermatologists office in Toronto. I have very sensitive skin (rosacea) and my skin reacts very badly to all sunblocks that I have tried except yours ..... Monti, Vancouver, USA. 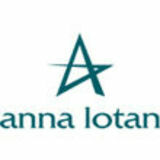 Congratulations and applause to Anna Lotan. From my perspective today, you are the number one in Israeli professional cosmetology. Every year I see how my shelves are getting empty from the products of other companies in the market, in favour of the one leading company - Anna Lotan. I would also like to mention my satisfaction with the good service, professional and honest, that i get from your company and from the serious response to my questions and remarks...... Nina, Holon, Israel. her skin looks great!!! We wanted to thank you for your products and we love that it is all natural!! We hope to introduce more family and friends to your products. All the Best, Kate I cannot imagine a better sun protection cream may exist. I have tried and used a lot! I had some creams with SPF of Clinique, Estee Lauder, Shiseido, Lancome, La Roch Posay, Vichy, Lavera, Peter Thomas Roth... I cannot list them all, because I dont remember the whole list. Your Protective Daily Moisturizer SPF 19 is no doubt the best! Bio mineral scrub spreads very easily, rinses off fast, doesnt leave residue on the skin. The granules are fine. It smells so lovely, luxuriously for me! I need only a small amount of it each time, so it is very economical. It makes my skin feel soft and polished, not ever irritated. It is the great product! ..... Katerina, Canada. my skin feeds it completely, :-) there is nothing left to rinse off. My skin is very moisturized with this one. I found this mask is slightly more moisturizing than Greens Aloe Pure Gel. Gel It is nice product as well. I’m just thinking it will be better in summer time. I have 2 years old daughter, it’s hard to find a proper moisturizer for a little child. Baby and kid’s creams are usually rather heavy than moisturizing. I applied both Tender Calming Care Pure Balm and A Topic Delight Skin Balm on her skin. Both are great for her! Delicate Oily Skin Balm hydrates my skin very well without making it shiny and greasy. Its texture is similar to Tender Calming Care Pure Balm . Overall your products are absolutely incredible and I’m so happy they are on my bedroom table right now. Thank you VERY MUCH! Katerina, New York, USA.